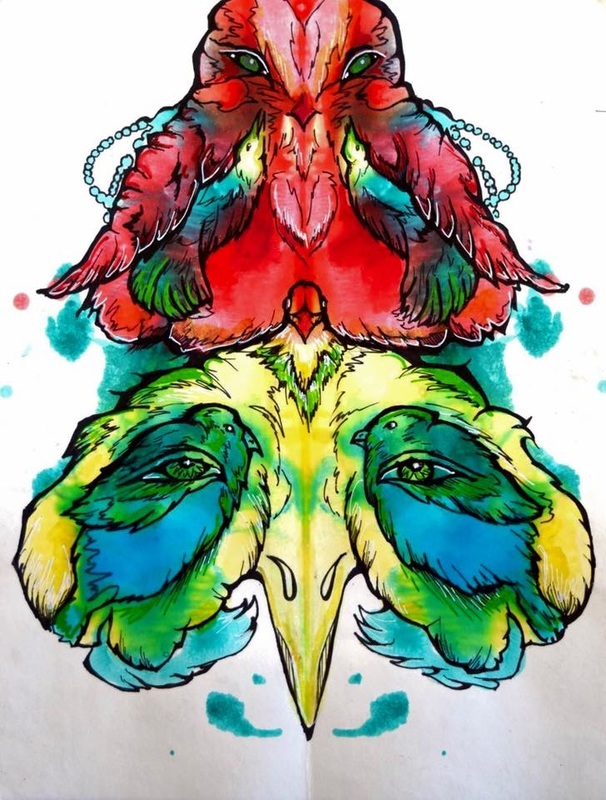 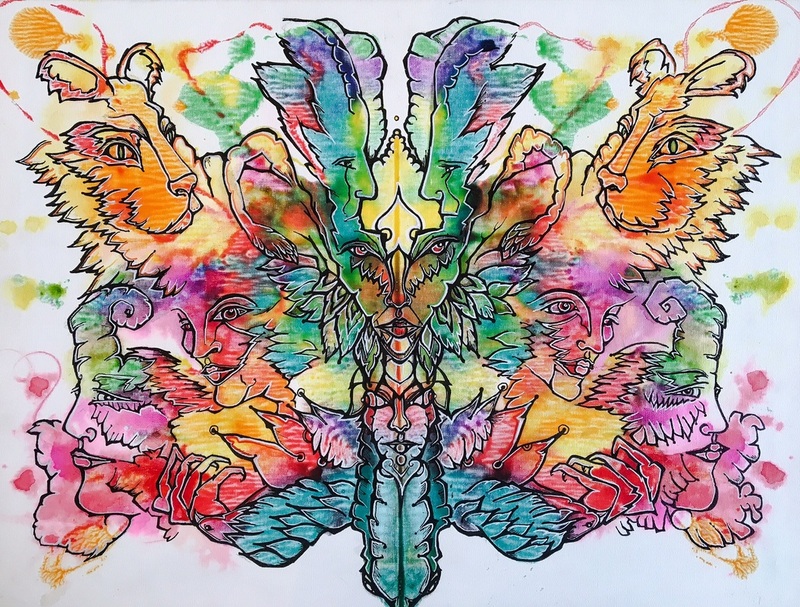 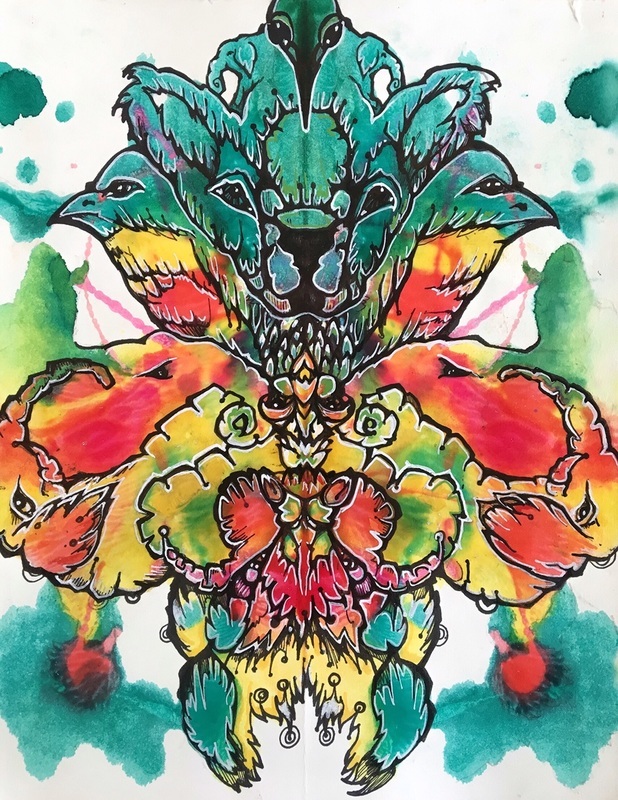 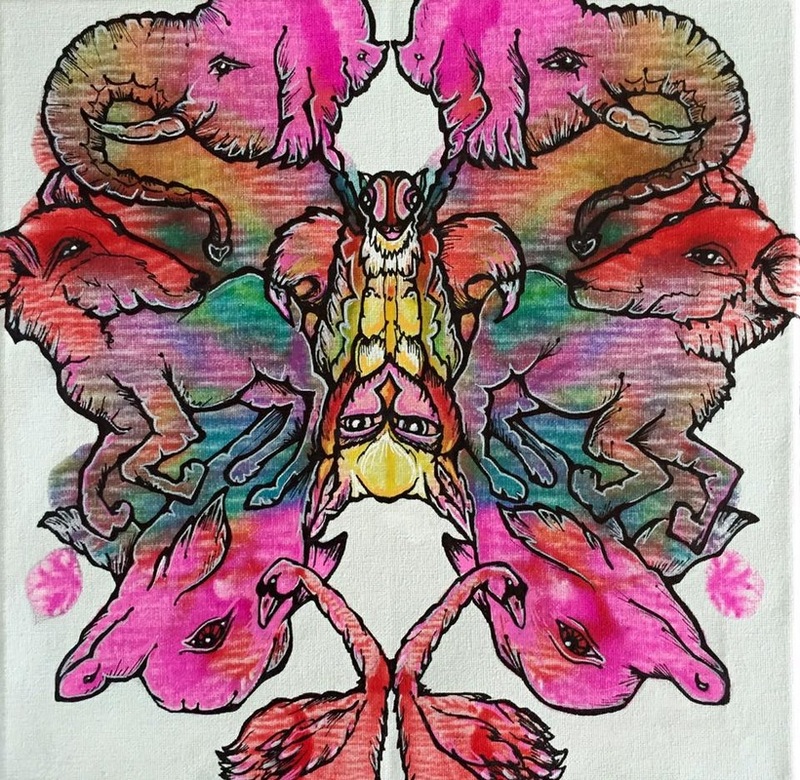 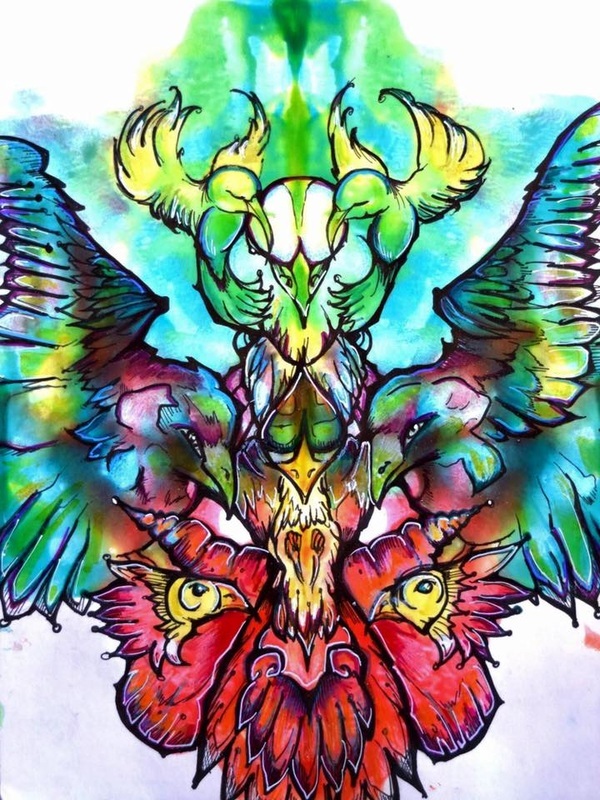 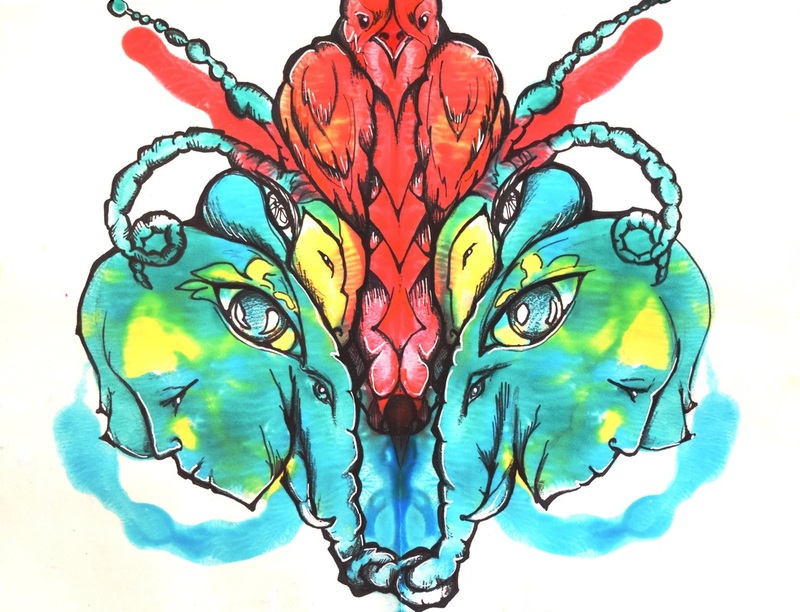 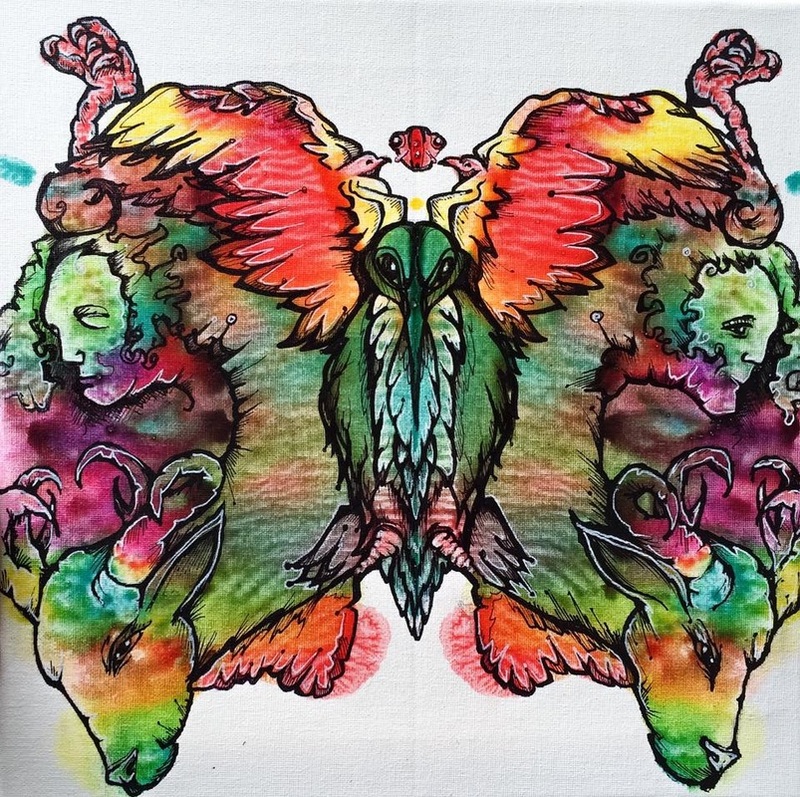 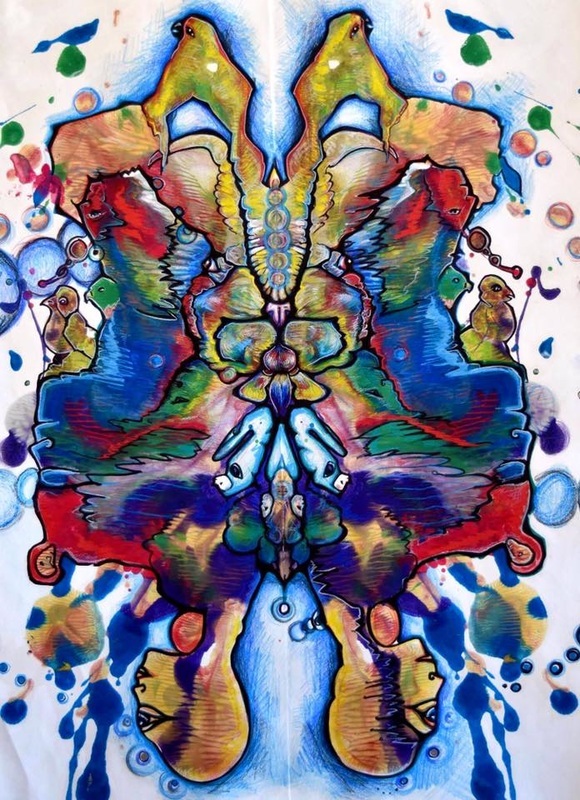 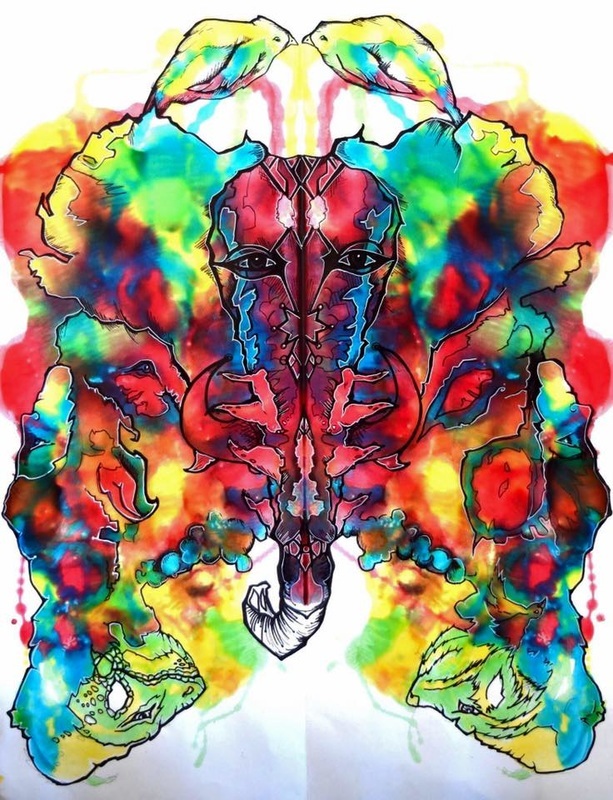 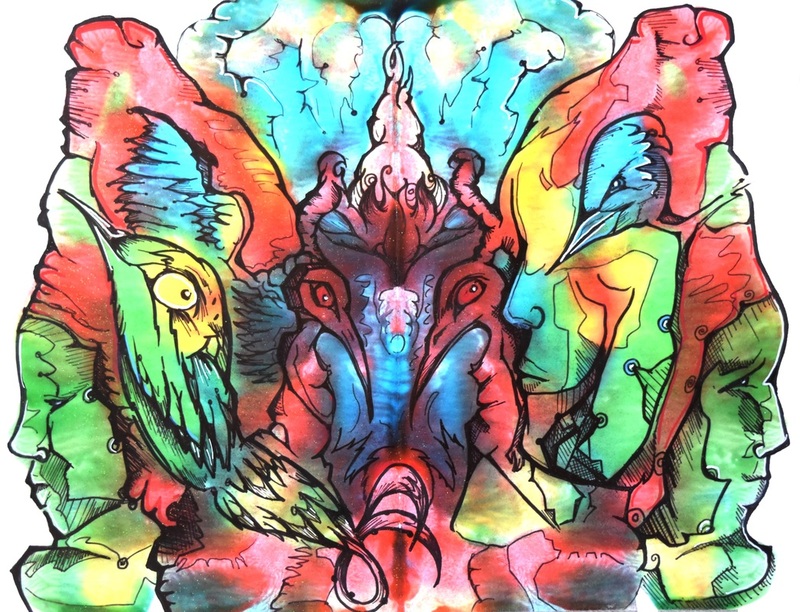 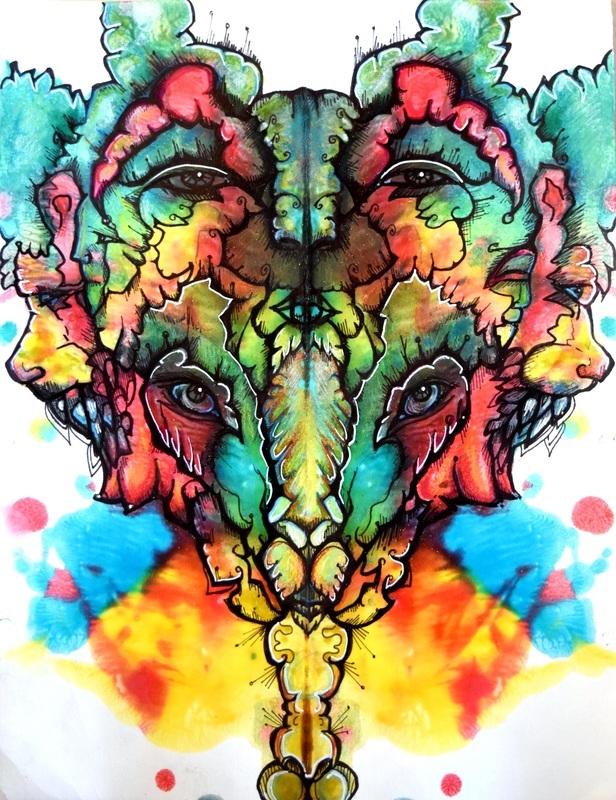 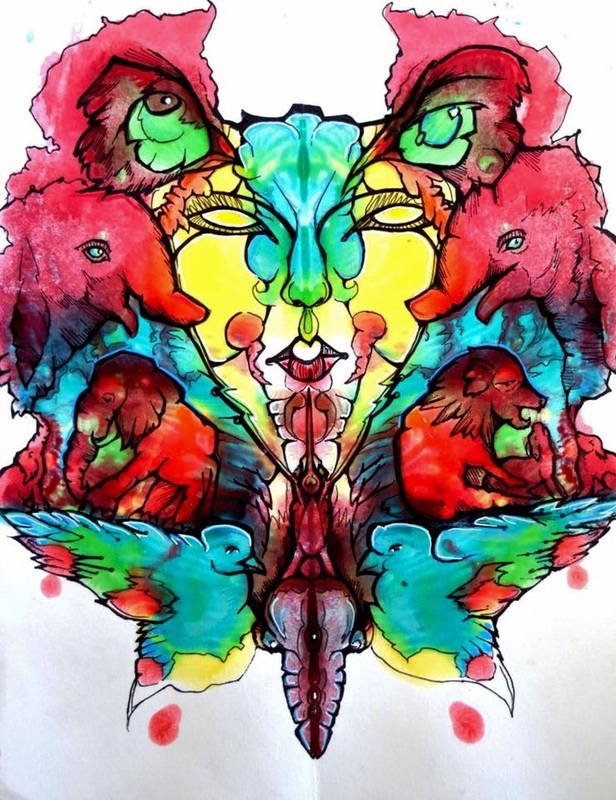 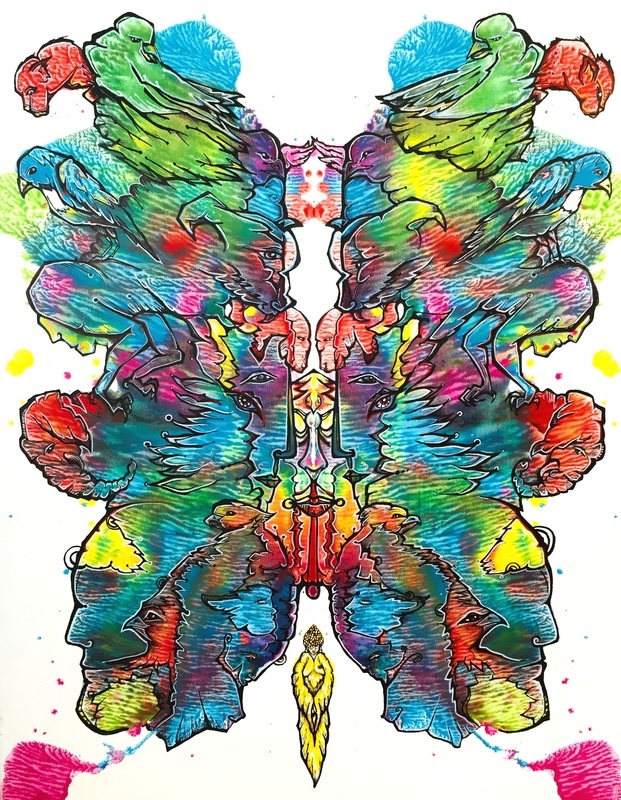 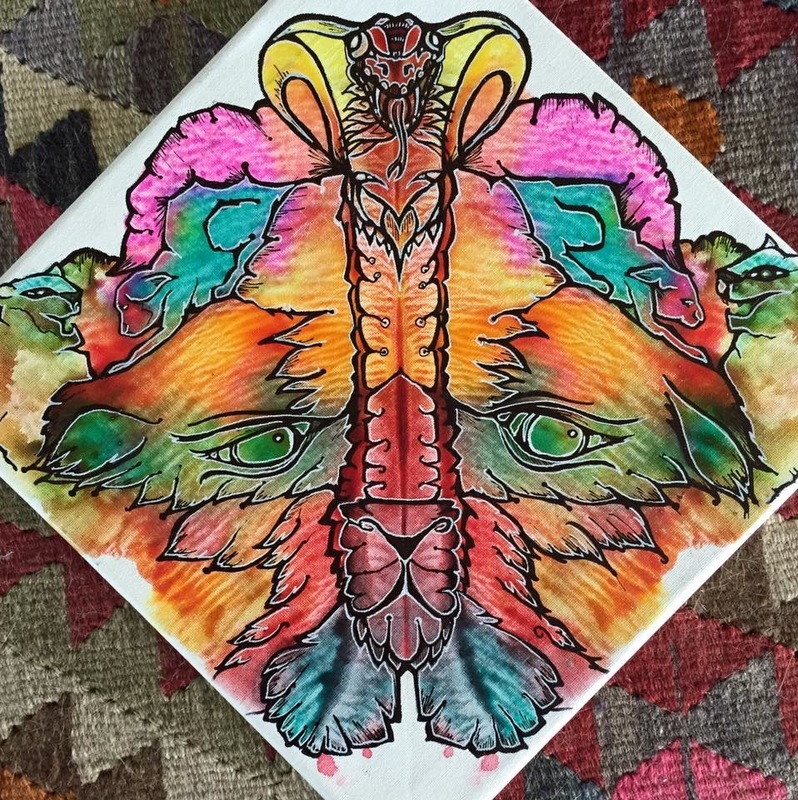 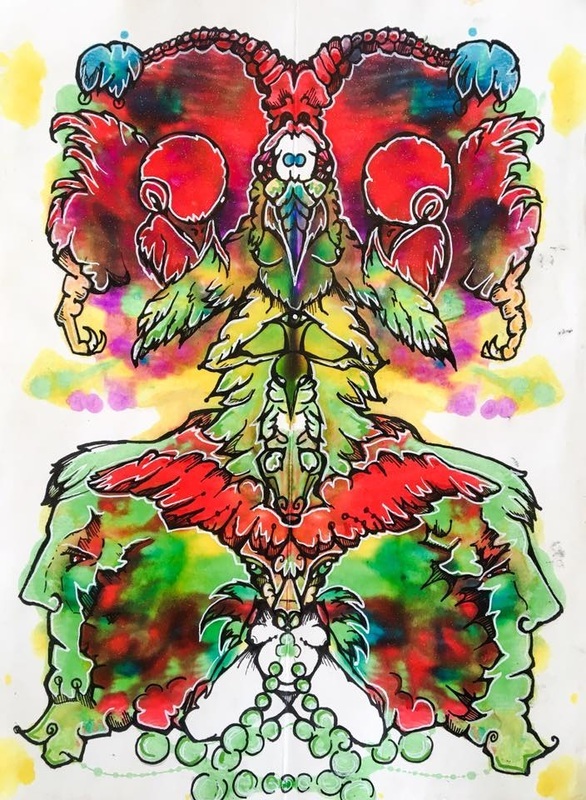 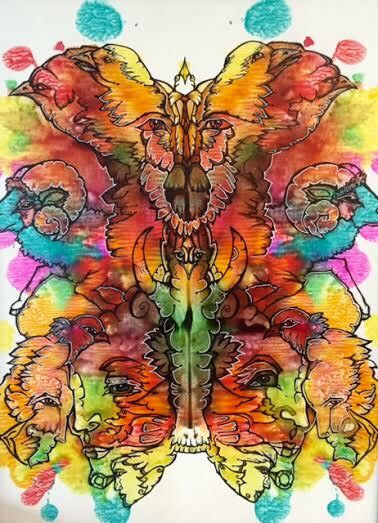 OMNISCIENT RITUALS - Created and guided by the technique of automatism and using the principle of symmetry and balance; the series of paintings pay tribute to the psychological exam of Hermann Rorschach and seek to produce concealed messages and visual interpretation through both color and shapes. 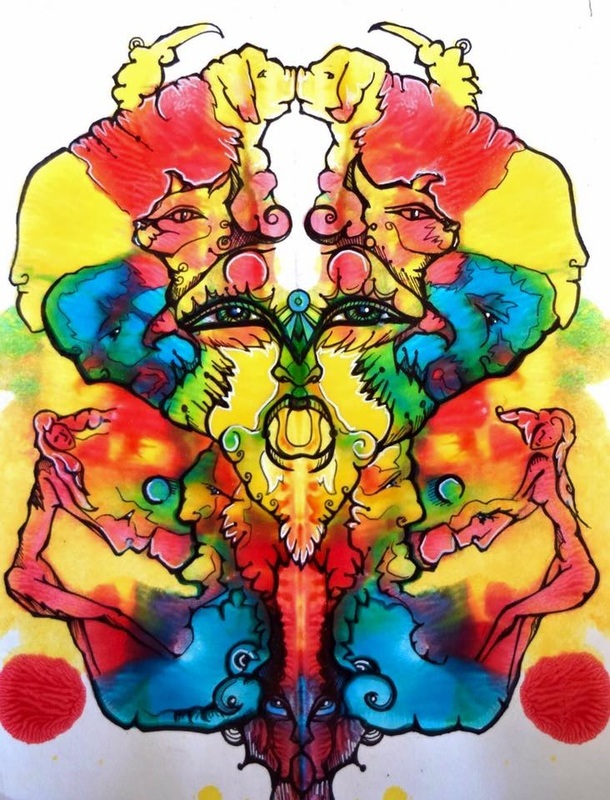 Omniscient rituals are a reflection of the artist and the continuous attainment and discovery of hidden knowledge from within and all around. 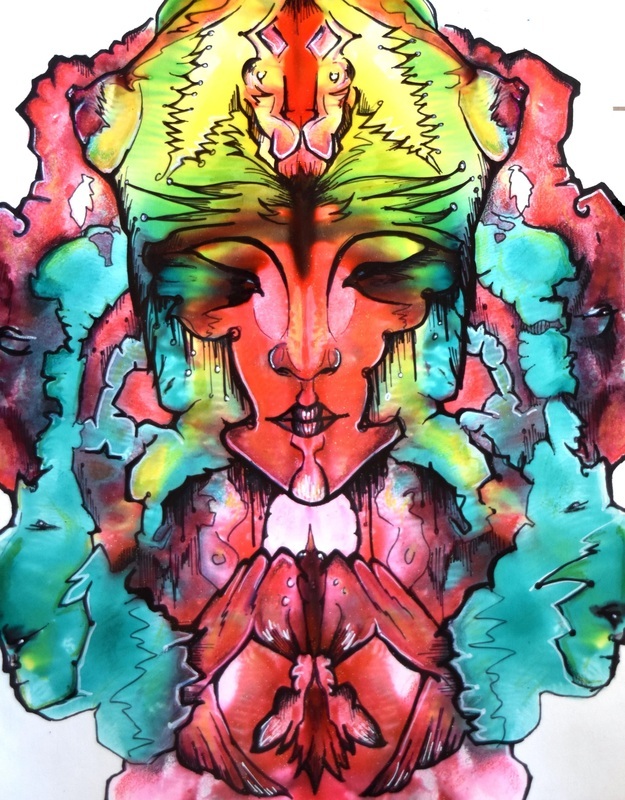 Each piece is developed with watercolor, tempera, polymer and acrylic on paper or canvas.